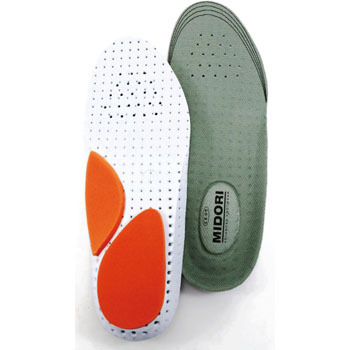 I am using Midori security shoes, but I replaced it because the insoles are getting thinner. The size is perfect as it is the same manufacturer. Although the heel part was thicker than the original insoles, it was slightly uncomfortable, but soon I got used to it. I feel that the shock absorption is good and the back pain has become lighter. This review is about item#10360543.